Weaving through the back streets of Manchester’s bustling Northern Quarter, Cabbage singer Lee Broadbent is trying to find a quiet spot to talk. “Hang on – I might go down an alley now,” he bellows down the phone. Since the band with the most absurd name in the business burst on to the scene in 2016 with a series of provocative EPs and anarchic live shows, quiet spots have become increasingly hard to find. But for all the attention, it’s also been a difficult time for the group. Last year, Lee was accused on social media of sexually assaulting a girl in the crowd while supporting Kasabian in London. The band denied the allegations, which – after an investigation by the Academy Group – weren’t taken further. Now, as they prepare to release their debut album, Nihilistic Glamour Shots, produced by The Coral’s James Skelly, Cabbage believe they are already marked men. “It did create a bit of distrust and there is an extra layer of darkness on the album,” says Lee, whose band now supports the Safe Gigs for Women initiative. The Mossley five piece had already caused a stir by lashing out at The Sun when it tipped them for success last year. “Don’t buy The Sun… [Rupert] Murdoch will lead us into worldwide demise,” they said in a statement at the time. Lee now admits the attack against the newspaper – which gave them “a really great feeling” – was “reckless” but insists he and his bandmates stand by it. “It feels like we were put on some sort of secret public enemy list and our time was always going to come when possibly someone was going to strike us. He adds: “Now we’re in a position where we’ve got an album and been back on the road and we feel really confident in ourselves again. Having put out five EPs since 2016, as well an effective ‘best of’ compilation in Young, Dumb…, the prolific BBC Sound of 2017 nominees are long overdue their first full-length studio effort. In truth, they’ve just been far too busy living in the moment. “That’s why we’re calling it the ‘difficult debut album’,” jokes Lee. “By the time we’ve released the album we’ll feel like we’ve honed our craft”. 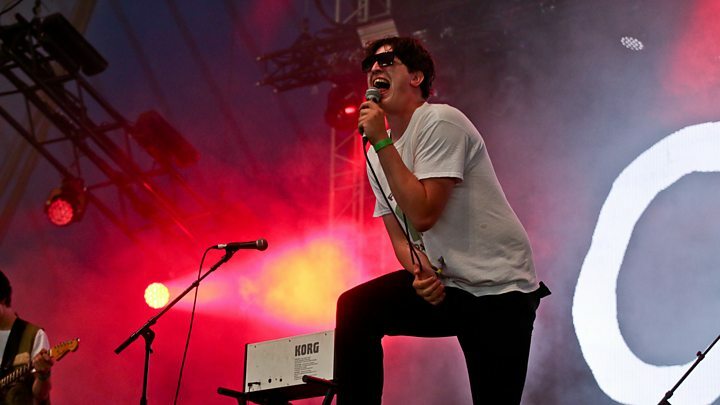 Politically-charged live favourites like Uber Capitalist Death Trade, Terrorist Synthesiser and Necroflat in the Palace, which carries the refrain; “I was born in the NHS, I wanna die in the NHS,” will soon have to jostle for position in their setlist – with 12 new and equally inflammatory titles. Amongst them are Celebration of a Disease, the dystopian Obligatory Castration and the BBC 6 Music-playlisted lead single Arms of Pleonexia, which calls on the government to “take responsibility” over “the heinous arms trade which continues to thwart the world”. “A lot of the songs are just about what’s been fascinating us at the moment,” says the singer, who shares frontman duties with his pal Joe Martin. “For me, any band that has anything about them in a political sense… how could they possibly avoid singing about subjects like that anyway? “It’s a natural talking point for our age group, particularly now there’s a socio-political movement happening with Jeremy Corbyn, and a lot of young people are actually getting involved in politics. “But quite a lot of songs we’ve written start with a title. 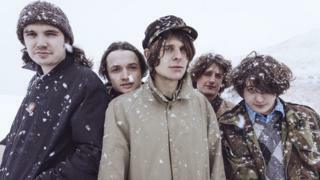 Cabbage’s tendency for relentless recording, unpredictable live shows and an appetite for self-destruction have seen them draw comparisons with fellow Manchester outsiders The Fall, who rewarded them with a hometown support slot in 2016. 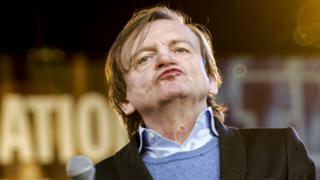 Not before leader Mark E Smith, who died in January aged 60, had some “sharp words” – as Lee puts it – to say about the young pretenders. Extra indie points for that. That gig still remains a massive moment for the neo post-punks, who were working with ex-Fall member Simon ‘Ding’ Archer when the news of Smith’s death broke. “It was quite a shock,” admits Lee. “He was always one of those figureheads, like Shane MacGowan, that you just expected would always be there. It’s the same with Lemmy; they’re completely immortal and invincible, so when they pass away it leaves a huge void. He went on: “We always wanted to have some form of release every year, something that The Fall miraculously managed for the last 45 years and what King Gizzard [& the Lizard Wizard] have taken to a whole other level.” (The Australian psych-rock band released five albums in 2017). 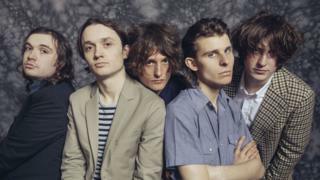 The Cabbage factory’s latest production includes a UK tour in April and a hometown special ‘Glamour at thee Ritz’ show, as well as a Manchester-based art exhibition to help fans visualise the album. Look out for imagery to do with the occult – another of Lee’s latest interests. Last year’s “Healing Brexit Towns” tour provided the shock rockers and their fans with an opportunity to “all get together and feel really sad”. The band were firm Remain supporters in the 2016 referendum, which saw 52% of voters in the UK opting to leave the European Union. “Everyone who came to our shows were people who were similar in politics to us so the crowds were really appreciative,” Lee says. As we end our conversation to allow Lee and the lads to continue their afternoon “quest” through the city’s backside in search of food and further inspiration, one is left feeling we should expect more noise, confusion and, most of all, the unexpected from Cabbage over the coming months. “I suppose it spurs us on in a way,” Lee concludes. “Now there’s an expectation of us we try to find different things to talk about and ways we can change the show. Cabbage’s debut album Nihilistic Glamour Shots is out on 30 March and they kick off their UK tour on 4 April in Abderdeen.